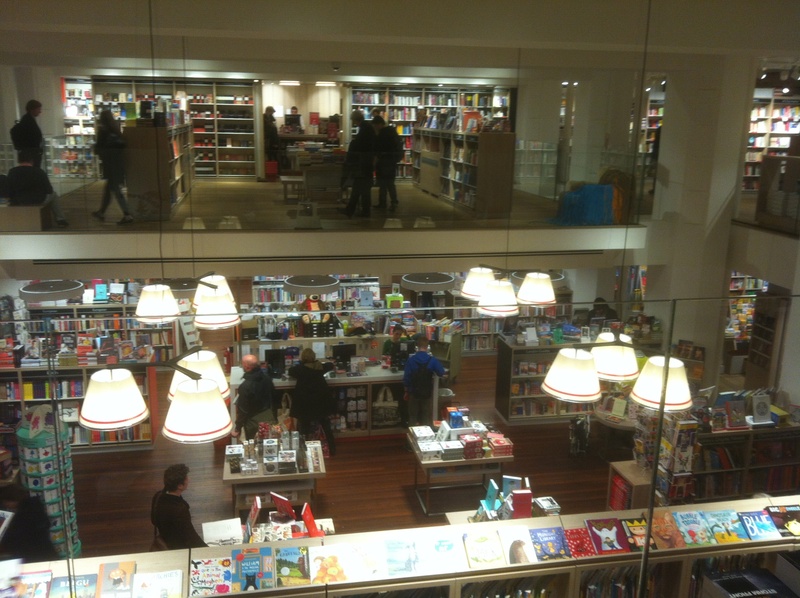 Somewhat belatedly, I should record my pleasure at the opening of Foyles new flagship bookship on Charing Cross Road. Visiting it is not so very different from what it used to be, as they’ve only moved a few doors down the road, to get premises which can be laid out more like a shiny new retail store, and less like a rabbit warren. And, like others who have written about it in various places, from Diamond Geezer’s blog to the Daily Telegraph, I have slightly mixed feelings. Yes, it’s great that physical bookshops can still defy the Amazoogle, and open new venues in London’s traditional bookselling street; and no, it’s not really the same. But I differ a little from those who lament some the loss of some aspects of the old shop. For I remember the real old Foyles, before it changed dramatically in 1999, with the death of its long-standing proprietor, Christina Foyle. The one where buying a book was a matter of three queues. Having chosen your book, you queued to give it to the counter assistance, who put it on one side and gave you a written note of the price. This you took to a cashier’s booth, where you queued to pay. You took the receipt back to the counter, where you queued to exchange the receipt for your book. That was not the limit of the quirkiness of the real old Foyles. 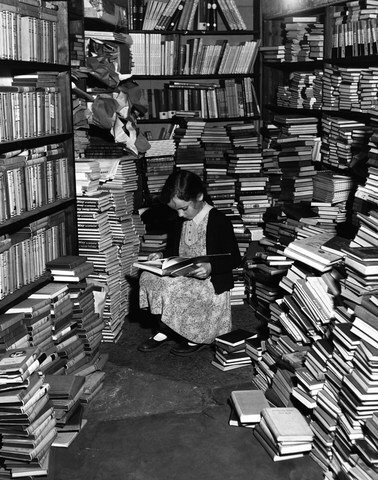 There was also their stock control, or rather total lack of it, combined with their lack of anything other than a very broad categorisation of subjects, and an inclination to store the books horizontally and frequently on the floor. The result was that their staff had no idea whether they had a particular book in stock, nor much idea where it would be if they did have it. Foyles was not somewhere you went, for preference, in order to find a specific book. As their own history admits “Foyles was bound to have what you were looking for, but neither you nor the staff had any chance of finding it”. Their nearest competitor (Waterstones in Malet Street, which was then Dillons and much better than it is now, but that’s another reminiscence) ran ad campaigns under the heading “Foyled again: try Dillons”. But to shop in the real old Foyles was the browsing experience par excellence. The lack of stock control meant that many out of print books stayed on the shelves indefinitely, and the lack of order meant that pleasing serendipitous discoveries were just as usual as displeasing failure to find what you’d come for. That all went fifteen years ago, and we can hardly lament it. But, pleasing as the shiny new Foyles environment is, I can’t help wishing they could find room for a little of the old scruffy serendipity; clearly labelled obviously, in a tidy section of its own.